After rebounding from both levels of 61.8%, Euro continues a correction. However, the main trend is still bearish, that’s why there is a high possibility that the price may continue moving downwards. 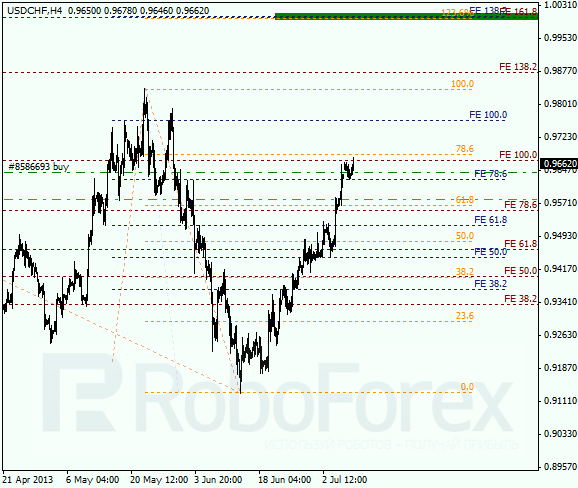 The target for the bears is in the area between two fibo-levels, 78.6% and 100%. 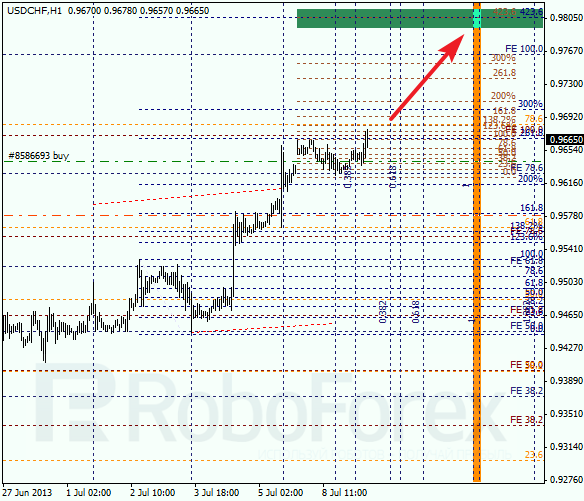 At the H1 chart we can see, that the correction reached the level of 38.2%. In addition to that, the temporary fibo-zones indicate that the current ascending movement may be completed. If the price stays below the 23.6% level, I’ll increase my position. Franc is trying to start a new ascending movement. The main target is the area where there are three fibo-levels. The pair may break the maximum during the next several days. At the H1 chart, the pair finished a local correction and I opened a buy order. The intermediate target is the area close to the level of 423.6%. According to the analysis of the temporary fibo-zones, this level may be reached by Thursday.